If you’re selling on Amazon, you are bound to run into a negative review. The good news is that there are several ways to handle low-star feedback. In this article, we’ll go over how to do just that. When it comes to sports, you’re only as good as your record says you are. When it comes to selling products on Amazon, you’re only as good as the reviews say you are. That’s why it’s important to do whatever you can to ensure that you have plenty of positive reviews. Unfortunately, sometimes you’re going to get negative reviews. If you have an abundance of them, people are going to turn away from your product. 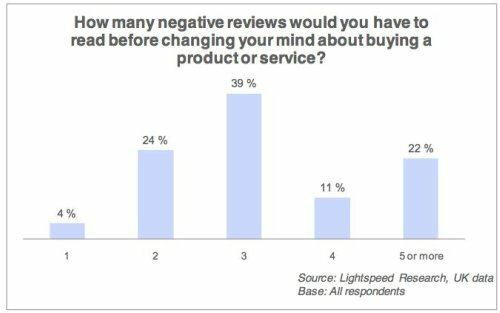 Let’s start by taking a look at how reviews affect sales. According to Revoo, a product with 50 or more reviews can mean as much as a 4.6% increase in the conversion rate. That same study showed that product reviews can produce an 18% increase in sales. 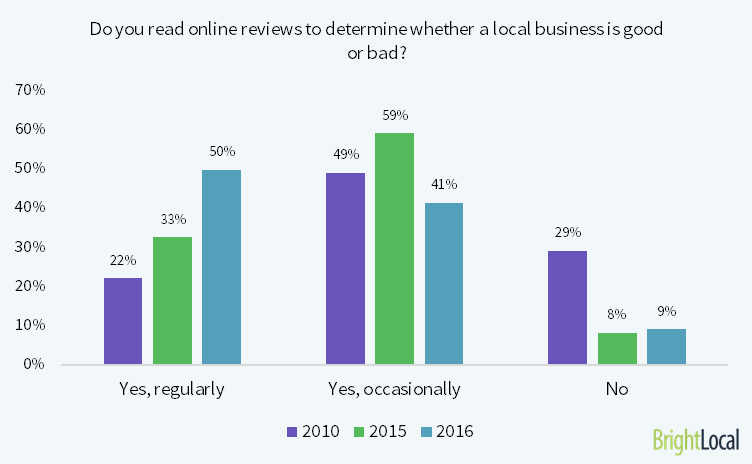 A BrightLocal survey shows that 84% of people treat online reviews much like personal recommendations. According to an older study from eMarketer, consumer reviews are trusted 12 times more than descriptions by manufacturers. That same study shows that 93% of Internet users read reviews. Of those, 89% said that they were influenced one way or another by what they read. It’s safe to say that reviews will impact your bottom line. That’s why you should develop a strategy for dealing with negative feedback. Before we delve into the main points, keep in mind one overarching truth: it’s perfectly okay to have some bad reviews. Why? Because it looks real. Consumers are okay with the fact that not every merchant bats a thousand when it comes to selling products online. They understand that some folks aren’t going to like what other folks like. On the other hand, people who see nothing but 5-star reviews for an Amazon product are going to get suspicious. They’ll likely think that those reviews are phony. A few 1-, 2-, and 3-star reviews here and there add authenticity to your feedback. So don’t sweat it too much if you have a few bad reviews. Mixed reactions are normal in this business. One of the best ways to deal with bad reviews is to have so many good reviews that they “drown out” the bad ones. That means your overall “star” rating will still be 4+ even with some negative feedback. But how do you get those good reviews? It’s simple: you ask for them. You have to be careful, though. You can’t in any way incentivize people to give you a good review. It has to be genuine. For example, if you promise someone a rebate or refund in exchange for a good review, you’re violating Amazon’s terms of service. If Amazon finds out about that, you’ll lose your business. Even worse, you could end up in court. However, it’s perfectly acceptable for you to ask for an honest review. If you’ve got a great product, then most of your reviews should be positive. One way to ask for a product review is with a marketing insert that ships with the product itself. When the customer opens the package, he or she will see the insert that offers a friendly reminder about leaving a review. To make it really easy for the customer to submit a review, create a shortened URL of the review page and put it on the marketing insert. It’s still not “clickable,” but it’s much easier to type out than the usual lengthy Amazon URL. Another way to ask for a review is in a follow-up email campaign. In that case, you can put a clickable link to the review page in the email. Yet another way to get reviews is to become a part of Amazon Vine. That program is the only exception to the “no incentivized reviews” rule. There’s a caveat, though: just because you’re giving people a free product doesn’t mean that they’ll leave a positive review. They will, however, leave an honest review. Again: if you’re offering a quality product, the review should be positive. Keep in mind that it costs bucks to join the Amazon Vine program. It’s not for small, bootstrapping businesses. How are you going to know that you have negative feedback if you don’t monitor your reviews on a regular basis? That’s why it’s a great idea to check your product listings periodically and watch the reviews. If you see a negative review, you can take action immediately. Of course, monitoring all your product reviews can take a great deal of time out of your already busy schedule. Fortunately, there are tools that will monitor reviews for you. AMZTracker is one such tool. It will check your products once per day for bad reviews. If it finds any, you can easily view them from the dashboard. FeedbackFive is another Amazon review monitoring tool. As a bonus, FeedbackFive also gives you the ability to solicit reviews from customers who purchased your products. Find the tool that works for you. Set it up to check your products for bad reviews so that you can respond to them as quickly as possible. The first step to dealing with a bad review is to respond to it. Fortunately, Amazon makes that easy. You can comment on a customer’s review. While the concept of commenting on a review was initially set up to allow customers to chit-chat back and forth about the product, there’s no reason that you can’t use the comment feature to address a bad review. Start with an apology. Yes, even if the review is complete garbage, start with an apology. Remember, the customer is always right. Even when the customer is wrong, the customer is right. So start with something like this: “I’m sorry you’re disappointed with our product.” That’s a great way to eliminate any tension. Then, address the specific concern. That accomplishes two things: it lets the customer know that you’re hearing the complaint and it’s a great way to make sure you understand the specific nature of the problem. Finally, put a contact link or email address in the response and politely ask the customer to contact you in an effort to resolve the problem. It’s probably best to handle the issue privately as opposed to out in the open. You don’t need an audience when you’re working out a problem with a customer. Once you’re in contact with the customer, get to the heart of the matter and make it right. Is the customer complaining that the pair of jeans she received don’t fit? Offer to send a different size. For free. Is the customer complaining because the DVD he received is damaged? Offer a free replacement. Yes, that will cost you some money. That’s the cost of doing business. Remember: on Amazon, you’re dealing with cutthroat competition. One of the best ways to stand head and shoulders above the rest is by offering superior customer service. Instead of going the comment route, you might want to try to contact the reviewer directly in an effort to get the problem resolved. That can be tricky, though. First, you’re going to have trouble finding a reviewer who’s using a pseudonym. Indeed, if you make too much of an effort at trying to locate somebody, you could be viewed as an online stalker. That’s not the reputation you’re looking for. In fact, it’s probably best to avoid any attempt to contact the person directly if he or she didn’t purchase the product through Amazon. On the other hand, you might be able to locate a verified purchaser on social media. Then, you can make contact that way. Once you do find a way to reach the reviewer, you have to choose the right wording in your direct message. After all, you’re initiating unsolicited contact. Be sure you go out of your way to be polite. You don’t want the reviewer to even get a whiff of intimidation. That will also be bad for business. If the reviewer doesn’t respond, let it go. There’s absolutely no good that’s going to come out of the situation if you badger the customer repeatedly. If the customer does respond, then make sure you completely understand the issue. Once again, offer an apologetic tone and work with the customer to resolve the problem. Keep in mind that reaching out directly to the reviewer is a longshot but it’s a good thing to try if you’ve exhausted other options. If you’re practicing outstanding customer service, there’s a great chance that at least some of your bad reviews will disappear. That’s because customers who’ve left negative reviews have the power to remove them. There are two ways that bad reviews can go away. First, the reviewer can update the review so it’s more favorable. For example, you might see a 2-star review move up to a 4-star review. That will certainly help your aggregate review score. Another way that a bad review can disappear is if the customer removes it completely. You’ll lose a review in that case, but you’ll also lose its negative effects. Basically, you shouldn’t get too upset about bad reviews because they aren’t necessarily final. You can work with a customer to change a 1-star review into something much better. View it as a challenge. You might find that, through your own effort and negotiation, you can change a 3.5-star rated product into a 4.5-star rated product just by reaching out to the right reviewers. In rare instances, Amazon will remove a review that doesn’t meet its guidelines. You shouldn’t count on that happening too frequently, though. For example, if you find a review that’s loaded with cuss-words, promotes a competing product, or gives a 1-star rating with no reason, you should use the “Report Abuse” option that appears just below the review. Explain why you think the review is bogus and ask Amazon to deal with it. Finally, keep in mind that bad reviews are your friends. That’s because they provide you with feedback that you can use to improve your business. If you’re seeing lower-star reviews for one of your products and the reviewers are all giving the same reason for the poor marks, then the problem is with the product not with the reviewers. Take that feedback as an action item to improve the product. While you’re taking the time to improve the product, do what you can to make those customers as happy as possible so they come back when you have something better to offer. Also, if you get a really bad review, you might find that you land in the “no such thing as bad publicity” category and your sales actually increase. Harvard Business Review has a whole article about that subject. Every merchant has to deal with bad reviews. That’s par for the course. However, you can work with customers who’ve left negative feedback. If you show them some great customer service, they might update a bad review to a good one or remove the review completely. The bottom line is that even with a fair review system in place, the ball is still somewhat in your court as to how well your product is rated.